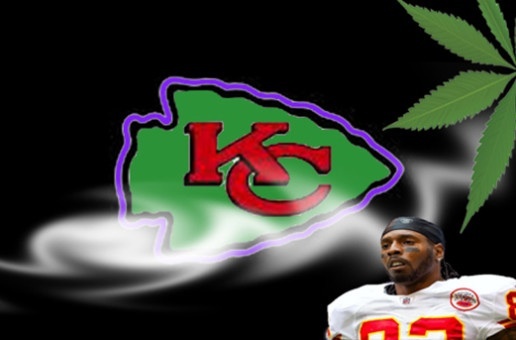 No Surprise in Riverside Municipal Court for Kansas City Chief’s Wide Receiver Dwayne Bowe, Dwayne Bowe received the standard plea deal for marijuana possession and speeding from the City Prosecutor in Riverside, Missouri. The KC Traffic Lawyer, Tim Tompkins has handled 100’s of Possession of marijuana charges in the municipal courts in Kansas City Metro area and on the Missouri side amended the Marijuana charge to littering is a common plea,deal. My favorite deal is a dismissal of the Pot charge and paying a higher fine on the defective equipment charge, this also can be accomplished in many of the municipal courts on the Missouri side. However, if you smoke pot or in possession of Marijuana on the Kansas side of the State Line, it is a different story. If Dwayne would have caught the Super X-Ray Plain View of an Overland Park Police Officer. Dwayne would probably be entering a year long diversion program with drug classes and random drug testing and the expectation that he obey all laws and stay out of trouble for the year, if not, he would be convicted of Marijuana Possession serve a minimum of two days in jail and pay up to $1500 in fines and be on probation for the year with a suspended sentence of up to 180 days. The above illustration is typical of the Kansas Municipal Court’s and State Court’s in Kansas. Why the discrepancy between Kansas & Missouri? Why are some States legalizing Marijuana? Why does Federal Law Classify Marijuana under SCHEDULE 1? The ultimate question What is God’s view on Marijuana and Pot smoking? Questions, Questions, Questions, The KC Traffic Lawyer loves to answer your legal questions and to solve your criminal legal dilemmas. To answer your question all we have to answer is Does God have a view on Marijuana and if so WHAT IS IT? i could go into a theological debate and list scriptures along with a deductive argument, but I am not, I am basically going to say a simple statement that I believe is both Biblical and a matter of indifference to God. Hey KC Traffic Lawyer, I thought you where a Christian lawyer? how can you say such a statement? created Marijuana and it was good, just as He created all things, and he created the barley and wheat for our use, just as He created Marijuana, So smoking a joint in your own home or smoking a nice cigar is a matter of indifference to God. However, having said that, when you put the human element into the situation the GRAY AREA happens, it is no longer Black and White. So yes Marijuana he’s can be sin, illegal, and harmful, but in my statement above it is not. Sir William Blackstone also agrees with me: “By the absolute rights of individuals we mean those which are so in their primary and strictest sense; such as would belong to their persons merely in a state of nature, and which every man is entitled to enjoy whether out of society or in it. Let a man therefore be ever so abandoned in his principles, or vicious in his practice, provided he keeps his wickedness to himself, and does not offend against the rules of public decency, he is out of the reach of human laws. But if he makes his vices public, though they be such as seem principally to affect himself, (as drunkenness, or the like) they then become, by the bad example they set, of pernicious effects to society; and therefore it is then the business of human laws to correct them. Remember, if you are arrested and need legal help in regard to a Marijuana Charge in Kansas or Missouri Give Tim Tompkins a call at 913-707-4357 or 816-729-2606. Charged with DWS (Driving While Suspended or Revoked) or DUI (Driving Under the Influence) in Kansas or Missouri? Call KCTRAFFICLAWYER TODAY – 816-729-2606 or 913-707-4357. Text your inquiry to 913-707-4357, or Visit http://www.kctrafficlawyer.com for more information about our law firm. Kansas and Missouri License Laws are harsh. It is not difficult to find yourself in a license suspension or revocation situation. Many of our clients did not even know their KS or MO license was suspended or revoked. If you are stopped and charged with driving while license is suspended, cancelled or revoked, you should not take this lightly. If convicted, you face jail time, serious fines and more license problems. Our office represents hundreds of people with license issues. We can help you by keeping points or moving violations off of your record (in most instances), protect you from jail, and help you get your license reinstated. If you have been charged with DUI or Driving While Suspended/Revoked in Kansas or Missouri, call our offices today. 816-729-2606 or 913-707-4357. You may also email us at timtomp@yahoo.com or text your case inquiry to 913-707-4357. Cass County, MO: Archie, Baldwin Park, Belton, Cleveland, Creighton, East Lynne, Freeman, Garden City, Gunn City, Harrisonville, Kansas City, Lake Annette, Lake Winnebago, Lee’s Summit, Loch Lloyd, Peculiar, Pleasant Hill, Raymore, Strasburg, West Line Platte County, MO: Dearborn, East Leavenworth, Edgerton, Farley, Ferrelview, Kansas City, Lake Waukomis, Northmoor, Parkville, Platte City, Platte Woods, Riverside, Tracy, Waldron, Weatherby Lake, Weston Clay County, MO: Avondale, Birmingham, Claycomo, Ectonville, Excelsior Estates, Excelsior Springs, Gladstone, Glenaire, Holt, Kansas City, Kearney, Lawson, Liberty, Missouri City, Mosby, North Kansas City, Oaks, Oakview, Oakwood, Oakwood Park, Pleasant Valley, Prathersville, Randolph, Smithville, Sugar Creek Jackson County, MO: Blue Springs, Blue Summit, Buckner, Grain Valley, Grandview, Greenwood, Independence, Kansas City, Lake Lotawana, Lake Tapawingo, Lee’s Summit, Levasy, Lone Jack, Oak Grove, Raytown, River Bend Sibley, Sugar Creek, Unity Village In offering this information to the public, it is not intended to create, nor does it create, an attorney-client relationship between any individual and Law Office of Timothy R. Tompkins or any attorney affiliated therewith. An attorney-client relationship is only created upon review of the specific information in a case, acceptance of that case by the attorney, and payment of the required attorney’s fees or retainer. The choice of a lawyer is an important decision and should not be based solely upon advertisements. If you have been pulled over for speeding in Kansas or Missouri give the KCTRAFFICLAWYER a call NOW. In Kansas call (913) 707-4357; in Missouri call (816) 729-2606. Never pay a ticket or plea guilty to a moving violation, Do what smart people of all walks of life do, they call an experienced Traffic Lawyer to handle the speeding ticket. Why hire a lawyer? Because a lawyer can resolve that ticket in many cases without you ever going to court, and resolving it in a way that the ticket will never hit your driving record. Simple speeding tickets can lead to license suspension, increased insurance rates and even loss of employment. A drivers license is a privilege, not a right, and Missouri and Kansas have enacted laws that can take that privilege away, if you violate the law. I have been handling traffic cases in the Kansas City Metro area for over 10 years, each year the KCTRAFFICLAWYER handles over 1,000 speeding tickets each year serving all counties throughout Kansas & Missouri. Do what my clients do, call Timothy R. Tompkins at (913) 707-4357 or (816) 729-2606, most cases can be handled over the phone with a credit card (Visa, Mastercard, Discover, & American Express), and without you ever going to court. The KCTRAFFICLAWYER takes the worry away when you see those red lights flashing in your rear view mirror, Tim Tompkins is always there to protect your license. You only have one drivers license, use the best, experienced traffic lawyer in Kansas City, Tim Tompkins, the KCTRAFFICLAWYER.